Dietitians must be able to accurately evaluate and translate studies when nutrition is trending. Scientifically sound nutrition research is the foundation upon which the dietitian's information and advice is based. For the information and advice to be trusted, there must be credibility in the conduct and quality of the underlying nutrition research and in the accuracy of the RD's interpretation and translation of that research. Nutrition research varies in type and quality and is often too complex for the public to understand. Thus, dietitians must be able to critically evaluate nutrition research, understanding its strengths and limitations and identifying potential sources of bias, and accurately communicate its results and implications. 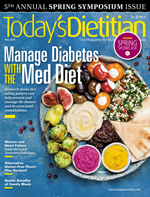 This article will help dietitians become better equipped to position themselves as trusted sources in an environment in which people who lack expertise often are communicating food and nutrition information. • Nonprofit organizations provide research grants related to their mission. With limited budgets, these organizations may support research that serves as background to justify studies that need large-scale support. • Individual academic institutions conduct much nutrition research, which supplies an essential component to education offered and benefits from the depth of expertise available. Universities, companies, or the government also may hire external contract research organizations to conduct specific preclinical and clinical trials. • Food and beverage industry groups, including ingredient suppliers, food manufacturers, retailers, restaurants, commodity groups, and trade associations, support nutrition research for reasons well beyond marketing interests. Examples include new product development, reformulation of existing products, satisfaction of regulatory requirements, or label claim substantiation. Food and ingredient companies support research by providing product and helping standardize analysis methods for high-quality replications. These sectors can combine strengths and resources to benefit the public good.4 For example, the USDA Branded Food Products Database complements the USDA National Nutrient Database for Standard Reference, adding open access to nutrient composition of branded foods and private label data that the food industry provides. However, stakeholders and observers have raised concerns about financial and other sources of bias and conflict of interest in industry-funded nutrition research. This has led to allegations of subjective interpretation or "spin" of results and selective publication that reflects favorably on sponsor interests.2,5 The association between industry funding and conclusions of nutrition research has been studied empirically, with findings that support these concerns but don't identify them as universal occurrences.6,7 Guiding principles for these types of public-private partnerships have been developed,4 though aren't universally and consistently followed. In critically evaluating research, dietitians must be watchful for potential bias in its conduct, interpretation, and communication. In addition to funding sources, bias also can originate from researchers, academic or research institutions, journal publications, mass media, and health professionals themselves. For example, pay-to-publish journals may lack legitimacy,1 and RDs should distinguish them from reputable, peer-reviewed journals, also understanding that while peer review is an important standard, it doesn't guarantee that findings are definitive or conclusive. Furthermore, RDs should distinguish actual study findings from editorials or commentaries that may have been written about the study and published alongside it. It can't be assumed that all nonindustry-funded research is without bias, as data falsification and poor methodology can occur within any sector.1 Pressure to publish, please funders, or fill a publication could result in submitting or accepting studies of low quality or contribution. Yet many scientists hold shared values, regardless of their place within industry, public health, or academia. Since some degree of bias is nearly unavoidable, the important question for dietitians as they evaluate nutrition research is whether bias (see sidebar "Potential Sources of Bias") has led to conclusions that deviate from the truth in a meaningful way. As a topic of intense public interest, food and nutrition information is communicated in an increasing number of channels and from a growing contingent of sources with varying degrees of expertise. Misleading and inaccurate information often spreads as a result. Therefore, dietitians should review the original research articles when possible. Reading only abstracts misses the opportunity to evaluate whether the methods and results justify the conclusions. • a polite e-mail to the study's corresponding author requesting a copy. • Was the study in a reputable, peer-reviewed journal? Many headlines in traditional and social media involve abstracts presented at conferences, but these haven't yet undergone peer review and should be viewed as preliminary. • Is this a single study, a systematic review, a meta-analysis that appropriately combines multiple studies conducted with similar populations and methods,8 or a position statement, guideline, or consensus report from an authoritative health or medical organization? • Did the study involve humans, animals, or cells? The applicability of animal models to humans has limitations, as does isolated cell research. Caution is warranted in extrapolating findings of these studies to the human body. • If the study involved humans, are subjects relevant to the research question and to your intended application? • Was the study observational (a population cohort study, case series, case-control study, or cross-sectional analysis)? If so, this doesn't allow conclusions of cause and effect. And associations found for large groups don't necessarily apply to individuals. • Was it an experimental trial? If so, are procedures for randomization and blindness noted? Who's in the comparison control group, and what's the diet or intervention received? • Does the research test an eating pattern, whole food, isolate, or single nutrient? • Were dietary intake and clinical effects measured with valid tools? • What's the amount and frequency of intake, and how wide is the range within subjects? • What adjustments were made for potentially confounding factors? • Was the intervention an appropriate length to be effective? Was follow-up long enough to detect relevant health effects and assess potential for long-term adherence? • How were data handled for subjects who didn't complete the study or adhere to protocol? • Were results defined by biomarkers, risk factors, or clinical outcomes? • Are results statistically significant, or could a "trend" occur by chance? • Even if results are statistically significant, are they likely to be clinically meaningful as well? • If an intervention trial didn't show results, might failure to achieve the intervention targets be responsible? Since no single study holds the full answer, dietitians should consider it in the context of the totality of evidence on a topic, looking for contrasting evidence and evaluating its significance. Evidence-based systematic reviews, such as the Academy of Nutrition and Dietetics' Evidence Analysis Library®, and reviews conducted as part of scientific statements by major health organizations provide insights. These won't include a brand new study but enable dietitians to evaluate how findings fit into the broader literature. News releases often shape other content developed to publicize a study, such as local media stories. Reporters on deadline may rely on a news release or article abstract and derive their own interpretation of the study, despite lack of training or skills to evaluate research. News releases also may generate videos and social media posts. Breakdown of information becomes more likely as content is relayed by messengers further from the source, especially those who are biased or less informed about science. Nutrition-related headlines and messages often exaggerate or misrepresent study findings and fail to provide important context (see sidebar "Examples of Spin in Health Reporting"). This distortion or spin may result from underlying tension fostered by the different priorities of the health community and the media. Health professionals generally seek consensus that will guide optimal patient care, while media sources and individual authors may sensationalize messages or promote conflict in views to generate sales or profit from increasing social media clicks. This causes confusion and erodes public trust in nutrition science. • Specify the information's source and legitimacy. Reputable peer-reviewed journals and major scientific and professional health or medical organizations typically are sound sources. Findings presented at professional conferences may be solid, but aren't yet peer-reviewed and should be identified as preliminary. • Clarify the audience(s) to whom results apply. Results of cell and animal studies aren't guaranteed to translate to free-living human subjects, and results of human studies in specific populations (for example, young, overweight men with diabetes) may not apply to other populations. • Distinguish between correlation and causation. Epidemiologic (ie, observational) studies aren't designed to support cause-and-effect conclusions as randomized controlled trials are. Avoid language suggesting a cause-and-effect relationship the study design doesn't warrant. This can help prevent audiences from overestimating a study's meaning. For observational studies, be clear by specifying, for example, that though the study suggested that A was associated with an increase in B, it doesn't prove that A increased B. • Quantify the true size of the benefits (or harms) of the intervention or exposure of interest. It may be accurate to say that a particular behavior intervention led to a three-fold increase in weight loss compared with the control (relative difference). But it may be less impressive if the difference between the groups was a 3-lb vs a 1-lb loss (absolute difference). As another example, Food A may have 50% more of a nutrient than Food B, but does the absolute difference confer a measurable improvement in health or quality of life, especially if both foods contain relatively little? • Identify strengths and limitations, including potential biases. Strengths and limitations often are outlined in the discussion section of a research article. As discussed earlier, these include things such as sample size or adjustment for other (confounding) variables that could influence results. Identifying them up front helps provide a balanced perspective of a study's conclusions and can prevent exaggeration of results. • Interpret results from a neutral point of view, without inserting personal bias.12 Personal ideology, ethnicity, or political orientation can lead to promoting or downplaying research results that are more or less consistent, respectively, with one's views. Health professionals need to guard against a natural tendency to reduce cognitive dissonance, whereby one disregards information incompatible with an existing perception.13 Consumers can't always separate subjective information from facts, so distinguish personal preferences or experience from objective evidence. • Put findings in the context of the broader literature. Population recommendations are derived from a body of evidence, and single studies rarely stand alone as conclusive. Explain how a new study fits with previous work. If results are contrary to what the weight of the literature shows, offer a possible explanation (for example, poor adherence to the intervention) and evaluate the significance of the different results. Indicate whether this study warrants a change in eating habits; if so, discuss specifically for whom and what that change entails. • Stay within a comfort level of expertise. If the topic is less familiar, consult or refer to a more knowledgeable source. Avoiding an uncertain or weak response can help preserve professional credibility. Nutrition information is easy to find, but it's harder to discern what's credible. Meanwhile, nutrition experts sometimes are accused of constantly changing their minds and/or failing to reach consensus on certain issues. Dietitians can help raise awareness that an essence of science is an evolving understanding of the truth as the evidence base grows. Furthermore, the debates that sometimes arise in search of the truth generally advance knowledge.14 RDs who hone skills in critically evaluating nutrition research and accurately translating it into practical dietary advice enhance their professional credibility as trusted resources for sound, evidence-based nutrition information, while helping to improve the public's understanding of and trust in the scientific process and its outcomes. — Emily A. Callahan, MPH, RDN, is a consultant in health and nutrition research, communications, policy, and education, and nutrition consultant to the American Heart Association. — Karen Collins, MS, RDN, CDN, FAND, is a nutrition consultant specializing in cancer prevention and cardiometabolic health, and nutrition advisor to the American Institute for Cancer Research. 2. Britt R; National Science Foundation, National Center for Science and Engineering Statistics. Universities report fourth straight year of declining federal R&D funding in FY 2015. InfoBrief 17-303. https://www.nsf.gov/statistics/2017/nsf17303/nsf17303.pdf. Published November 2016. 3. Mozaffarian D. Conflict of interest and the role of the food industry in nutrition research. JAMA. 2017;317(17):1755-1756. 4. Centers for Disease Control and Prevention, Office of the Associate Director for Policy. CDC's guiding principles for public-private partnerships: a tool to support engagement to achieve public health goals. https://www.cdc.gov/partners/pdf/partnershipguidance-4-16-14.pdf. Published April 2014. 5. Nestle M. Food industry funding of nutrition research: the relevance of history for current debates. JAMA Intern Med. 2016;176(11):1685-1686. 6. Lesser LI, Ebbeling CB, Goozner M, Wypij D, Ludwig DS. Relationship between funding source and conclusion among nutrition-related scientific articles. PLoS Med. 2007;4(1):e5. 7. Chartres N, Fabbri A, Bero LA. Association of industry sponsorship with outcomes of nutrition studies: a systematic review and meta-analysis. JAMA Intern Med. 2016;176(12):1769-1777. 8. Barnard ND, Willett WC, Ding EL. The misuse of meta-analysis in nutrition research. JAMA. 2017;318(15):1435-1436. 9. Woloshin S, Schwartz LM, Casella SL, Kennedy AT, Larson RJ. Press releases by academic medical centers: not so academic? Ann Intern Med. 2009;150(9):613-618. 10. Yavchitz A, Boutron I, Bafeta A, et al. Misrepresentation of randomized controlled trials in press releases and news coverage: a cohort study. PLoS Med. 2012;9(9):e1001308. 11. Our review criteria. HealthNewsReview.org website. https://www.healthnewsreview.org/about-us/review-criteria/. Accessed February 16, 2018. 12. Academy of Nutrition and Dietetics. Code of Ethics for the profession. http://www.eatrightpro.org/~/media/eatrightpro%20files/career/code%20of%20ethics/codeofethicsdieteticsresources.ashx. Published 2016. Accessed February 16, 2018. 13. Lomangino KM. Countering cognitive bias: tips for recognizing the impact of potential bias on research. J Acad Nutr Diet. 2016;116(2):204-207. 14. Rosenbaum L. The march of science — the true story. N Engl J Med. 2017;377(2):188-191. Sample selection bias: Has self-selection, a convenience sample, or improper randomization resulted in subjects that don't represent the general population or the people who are the focus of the research question? Sample size bias: Did too few subjects starting or finishing the study make it difficult to achieve statistically significant results? Data collection and quality bias: Might procedural variations or choice of dietary assessment and outcome measures lead to inaccuracies in representing true intake or the actual outcome of interest? Confounding variable bias: Might one or more other factors contribute to the results, yet not receive statistical adjustment? Publication bias: Do a greater number of studies showing positive or consistent results truly represent overall research findings? Or have such studies been submitted and selected for publication in preference to those with findings inconsistent with funders' or researchers' hypotheses?2 While the latter may be difficult to determine if RDs aren't closely associated with a particular research community, it's important for dietitians to remain mindful that this form of bias may affect the body of available published research. Confirmation bias: Has previous research or an overall consensus in the research community encouraged publication and sharing of studies that support these views as "right"? Or has the chance to make headlines by contradicting overall consensus encouraged publication in journals and mass media? 1. Ranganathan P, Pramesh CS, Aggarwal R. Common pitfalls in statistical analysis: intention-to-treat versus per-protocol analysis. Perspect Clin Res. 2016;7(3):144-146. 2. Lomangino KM. Countering cognitive bias: tips for recognizing the impact of potential bias on research. J Acad Nutr Diet. 2016;116(2):204-207. Failing to explain findings in the context of the broader literature.